As we approach the end of 2018, it is important for small business owners to understand what opportunities exist to lower their taxes before the year and to be aware of some new tax laws that may affect their taxable income. If your company is in need of new machinery, furniture or computer equipment and if you are planning to make this purchase within the next three to months, making the purchase before Dec. 31 will afford you an accelerated depreciation expense for 2018 that could be equal to the full purchase price of the asset. There is still time to set up a formal retirement plan for your company. As long as the plan is set up properly, the plan can be funded in 2019 and still give you a tax deduction on the 2018 tax return. You may be operating in an entity structure that no longer fits your needs. For example, you may have started out as a sole proprietor but are now in the position to better benefit from filing as a Subchapter S corporation. If you are considering changing your entity (as example: from a sole proprietorship to a Subchapter S company or from a Subchapter S company to a C corporation) the required filing should be completed by the end of 2018. There are some circumstances that allow this filing into the beginning of 2019 but why take the chance that your entity change will be late and not be accepted by the IRS. If your company’s policy is to reimburse your employees for their out-of-pocket expenses (incurred on behalf of the business), be sure to have your employees submit proper expense reports so that the reimbursement can be completed before Dec. 31. There are some benefits paid to employees in 2018 that are taxable and need to be included on the W2s of the employees. This includes reimbursement of moving expenses incurred in 2018, health insurance premiums paid by the company for certain shareholders of Subchapter S corporations, and auto allowances. Be sure to get this information to your payroll company before the end of the year. • Entertainment expenses (Golden Knight’s tickets, show tickets or golf fees) are not deductible in 2018. • Meals are still 50 percent deductible as long as they are ordinary and necessary and incurred in the taxpayer’s trade or business. • The 9 percent domestic production deduction for manufacturers is gone in 2018. • There is a new 20 percent deduction (Qualified Business Income Deduction) available in 2018 to pass-through entities, if the qualifications are met. I would encourage you to meet with your tax professional before the end of the year to determine if you qualify and/or need to adjust expenses by year end in order to qualify. Be sure you have valid W9s on file for any person or company that will receive a 1099 from you. To prepare your 1099s you will need the name, address and federal ID number of the service provider or vendor. It is easier to do it now versus in January when they become due. With only one month left in the year, it’s important to take action. 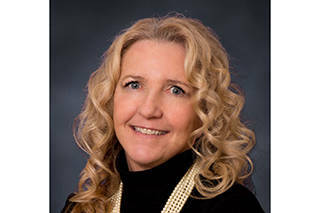 Kim Walker is a certified public accountant with over 35 years of experience in the public accounting arena. Walker represents the small business community assisting with their tax, financial and business needs.